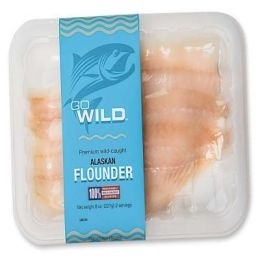 Go Wild Alaskan Flounder is 100% wild-caught from the icy-cold depths of Alaskan waters, where they thrive in their natural environment. Low in calories with no carbohydrates, Go Wild fillets are packed with protein and pre-portioned for your convenience. So you can serve the healthiest, most flavorful and most responsibly sourced flounder tonight.